The 1990s saw a boom in the use of electronics on tractors, which in turn prompted the development of some of the most iconic tractors produced. Simon Henley looks back at some of those legends and what impact they had. Deere's 6000 Series, Ford's 40 Series and Case IH's Maxxum set a template for each of the firm's tractors to take them into the 21st century. Britain’s transition into the 1990s came at a time of political upheaval and economic uncertainty. Yet the arrival of the decade spawned a new confidence and a flurry of technological innovation within the agricultural machinery industry. 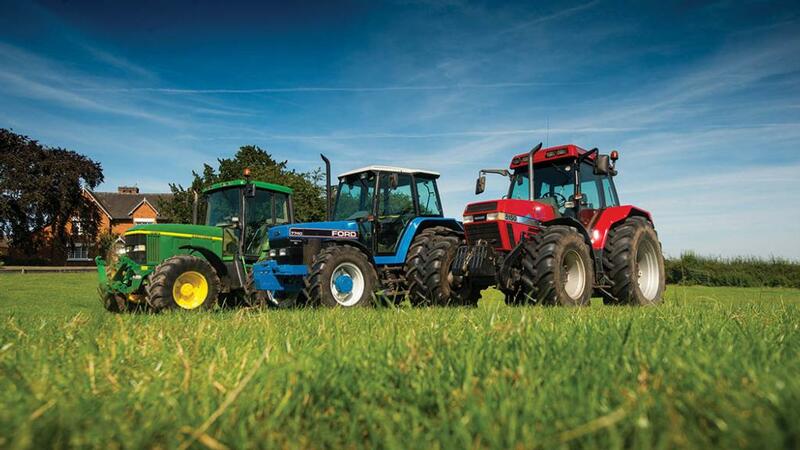 Throughout the 1980s, the world tractor market had declined significantly. By the time the 1990s arrived, some of world’s leading tractor manufacturers had already been swallowed up by corporate mergers, as the new generation of multi-brand corporations was conceived. 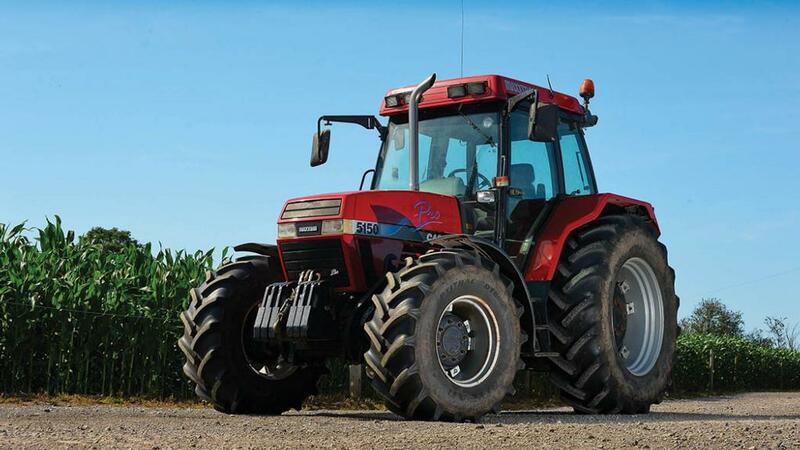 The technologically advanced MF 3000 Series set the benchmark for iconic ‘90s tractors. 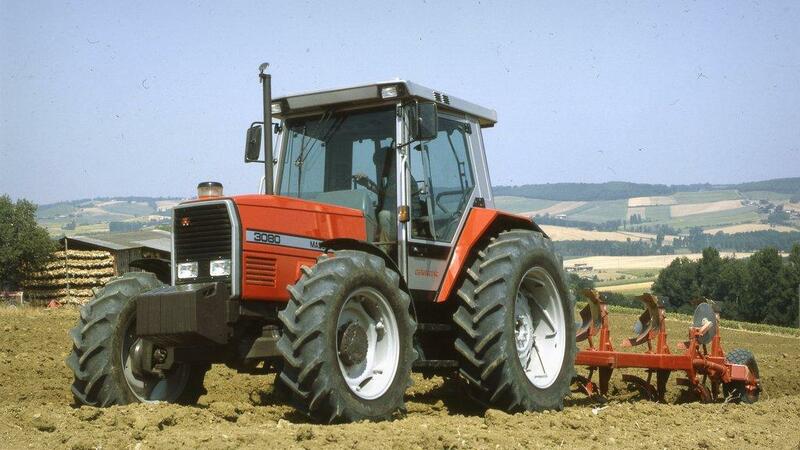 The electronics age officially began in 1986 when Massey Ferguson introduced the 3000-Series. For the first time ever, there was a range of tractors which integrated a variety of electronic applications designed specifically to improve both operator efficiency and tractor performance. By the early 1990s, John Deere, Case-IH and Ford-New Holland had all introduced brand new technically advanced tractor ranges. The demand for larger tractors forced tractor technology to new levels. By the end of the decade, tractor manufacturers would introduce innovations such as electronic forward-reverse shuttling, 40kph (25mph) transmissions, cab suspension, continuously variable transmission, rubber tracks and more (for the latter developments, see notable mentions). The 1990s also introduced the multi-function headland management system, along with the concept of precision farming, as the first GPS guidance systems arrived on UK farms. Fuelled by the quest for more power, yet increasingly faced by new environmental considerations, British agriculture was forced kicking and screaming into a relationship with technology, which would change the face of farming forever. The Case-IH Maxxum 5100 range was introduced in Europe during the spring of 1990. Built in Neuss, Germany, the line-up borrowed its styling cues from the larger US-built Magnum 7100 range and incorporated three new models, including the four-cylinder 5120 (90hp), the six-cylinder 5130 (100hp) and 5140 (110hp). 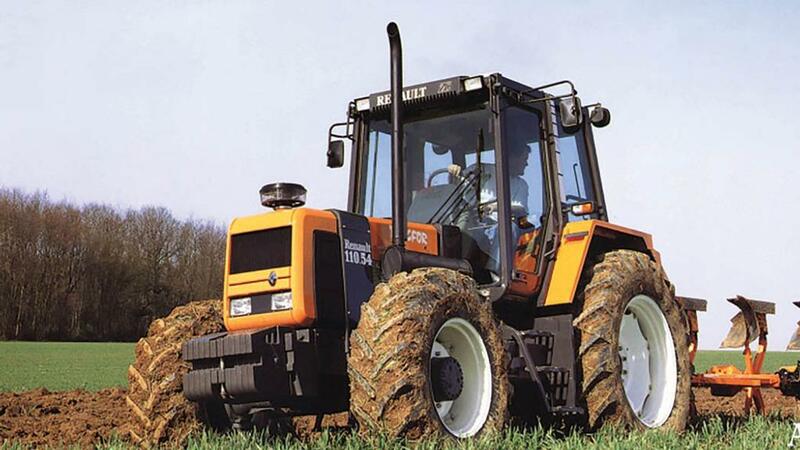 In 1993, the range was extended in Europe, with the debut of the more powerful 5150 (125hp). This introduction coincided with the rebranding of the range in North America, where the tractors became known as the 5200 Maxxum models. The Maxxum used many styling cues from the firm's bigger Magnum. Power throughout the range was provided by Cummins CDC B-Series 3.9-litre four-cylinder and 5.9-litre six-cylinder engines. These engines had been co-developed by Cummins and the Case Corporation under the banner of the Consolidated Diesel Company (CDC), which had been established in 1980 to produce engines marketed under the Cummins name. Besides its new modern look, the technically advanced 5100-Series tractors featured on-demand variable rate hydraulics with both pressure and flow sensing. A two-speed PTO with a reversible PTO shaft was also introduced. Transmission choices included an economy synchromesh gearbox, with a mechanical shuttle system. Six-cylinder models used a French-built 16F/12R four-speed powershift unit, with power-shuttle directional control. 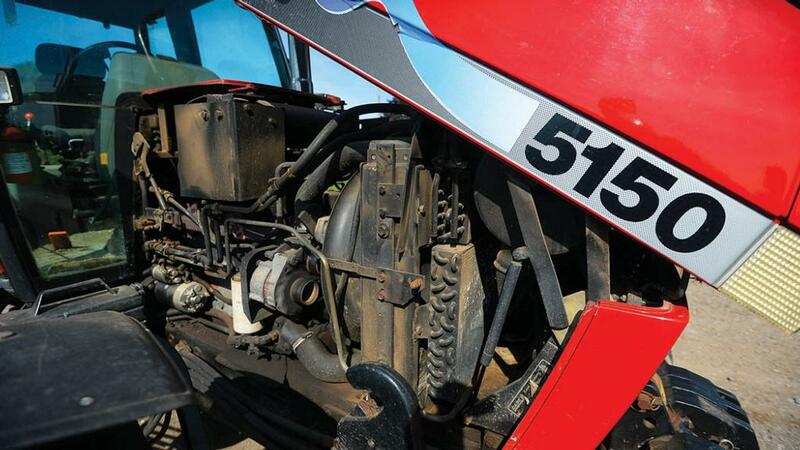 This gearbox, which was shared with the Case 580 backhoe-loader, was upgraded in the range-topping 5150 model to handle the tractor’s additional power. In November 1996, Case-IH celebrated the production of 50,000 Maxxum models by producing 1,000 tractors decorated with special decals. These included a single all-black version, sold to a contractor in Germany. The anniversary also piloted the introduction of the improved Maxxum Pro Series, which featured an 80mm higher cab roof line and increased power throughout the range. Brighter decals with the word ‘Pro’ and a bold blue waving flash along the side of the bonnet identified the new tractors. A joint venture between Case IH and Cummins resulted in the CDC engine. An interesting feature on early Pro models was their chrome-plated exhaust stack. Despite looking impressive, this was quickly dropped in favour of a matte black item when operators complained about the reflection of the roof-mounted worklights on the chrome finish. In 1997, the Case-IH Maxxum MX Series was introduced as a replacement for the Maxxum Pro Series. The result of a claimed £15 million investment, production was moved to the Case-IH (UK) production facility, Doncaster. The restyled, longer wheelbase Maxxum MX Series comprised four models, including the Cummins-powered six-cylinder MX110 (110hp), MX120 (120hp) and the MX135 (135hp). The smaller MX100 (100hp), was now powered by a Perkins four-cylinder turbocharged unit. The range featured a larger cab with greater floor space, improved air conditioning and an automatically self-adjusting seat. Access to the cab was also improved with wider doors and non-slip steps. Production of the Case-IH MX Maxxum Series ceased in 2001, following the purchase of the Doncaster factory by Argo SpA, (now Argo Tractors). The sale included a licence granted by Case-New Holland, allowing the Italian manufacturer to recreate a new version of the MX range, which subsequently became the McCormick MTX range, launched in 2001. 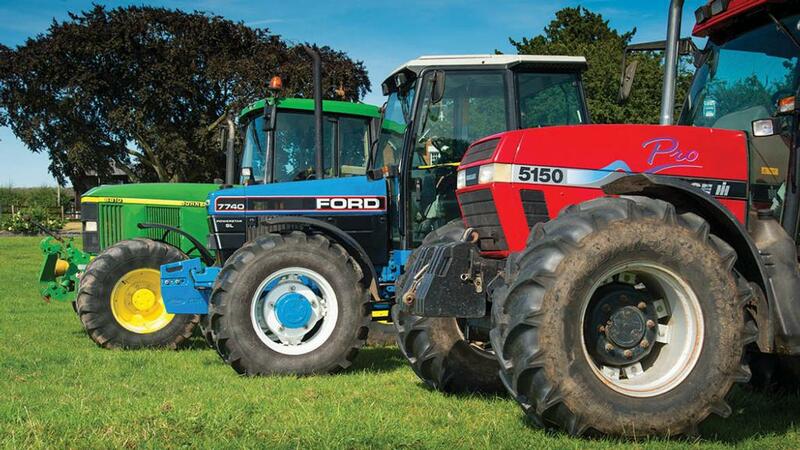 The acquisition of an 80 per cent stake in Ford-New Holland by Fiat in 1991 coincided with the launch of what would sadly become the last range of tractors to bare the Ford name. Yet it should be remembered that the Ford 40-Series introduced UK farmers to a new breed of blue tractor, when micro-chip technology was becoming a key design factor. The result of a four-year development project, known inside Ford as the P358 program, the Ford 40-Series boasted a completely new look, new engines, new transmissions, a new cab and numerous design improvements. Introduced in October 1991, the new range featured six models, including the four-cylinder 5640 (75hp), 6640 (85hp) and 7740 (95hp). A new six-cylinder line-up included the 7840 (100hp), 8240 (110hp) and the range-topping 8340 (120hp). The 40 Series was the last tractor to bear the Ford name. At the heart of the tractors was a new range of Genesis/PowerStar engines. These included a new five-litre four-cylinder engine and a 7.5-litre six-cylinder unit, which were designed with a longer 127mm stroke and an improved cylinder head design. The new five-litre engine powered the four-cylinder 6640 and 7740 models, the latter featuring a turbocharger to increase power. The 8240 and 8340 tractors were powered with naturally aspirated versions of the 7.5-litre engine. A turbocharged version of the 8340 (125hp) would arrive in May 1993. Ford’s existing 4.4-litre and 6.6-litre engines were also utilised in the 40-Series. Improved by incorporating many of the design features found in the new PowerStar engines, the 4.4-litre unit powered the smaller 5640 model, while the venerable six-pot 6.6-litre powered the 7840. In Britain, the new tractors were available in either SL or SLE specification. SL tractors featured a new three-range four-speed Synchro Shift 12 by 12 gearbox, which would become available with Ford’s Dual-Power two-speed powershift system in 1993. The big news for SLE tractor buyers was the introduction of the 16F/16R Electroshift transmission. This used a two-position gear lever to control two groups of four powershift ratios grouped in high and low ranges, a concept still used today. Clutchless up and down shifts were controlled by two buttons on the main gear lever. A mechanical forward-reverse shuttle lever controlled direction changes. The 40-Series also introduced Ford buyers to a completely new cab design. Developed in the USA as part of joint collaboration between Ford and Danish cab manufacturer Sekura, the SuperLux cab offered greater visibility, more room and reduced noise levels to 77DbA. Also improved was the hydraulic system, which featured a new closed centre load-sensing design, incorporating three separate pumps. A new lower-link electronic draft control system was introduced, alongside electronic digital instrumentation on SLE models, an optional radar-controlled performance monitor system and new electronic activation systems for diff-lock and four-wheel drive systems. 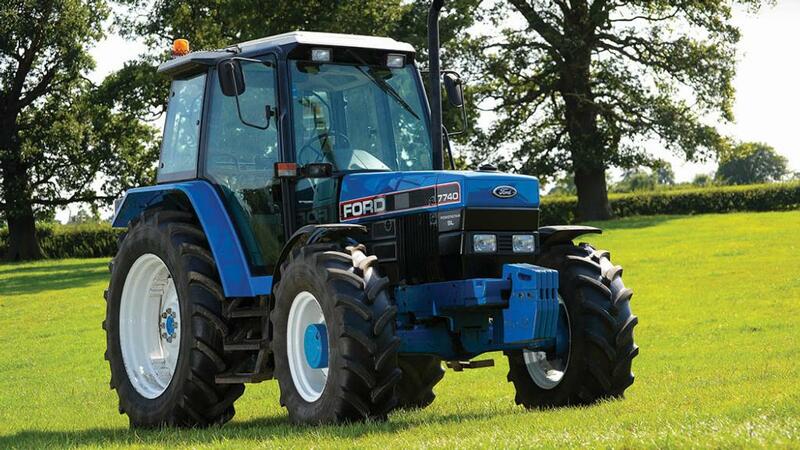 Despite some early teething troubles, more than 90,000 40-Series tractors were built by Ford at its Basildon factory between 1991 and 1998. Noted updates occurred in 1993 when the SLE gearbox was revised and the original white cab roof was changed to a blue one. In August 1994, the chassis colour was changed from blue to grey, while in January 1995, a New Holland/Fiat Winner front axle replaced the previous Carraro design. In November 1995, the name New Holland replaced Ford on all UK-built Ford 40-Series tractors, to coincide with the launch of the forthcoming New Holland M/60 and L/35 ranges of tractors, which were launched in Orlando, Florida, in January 1996. 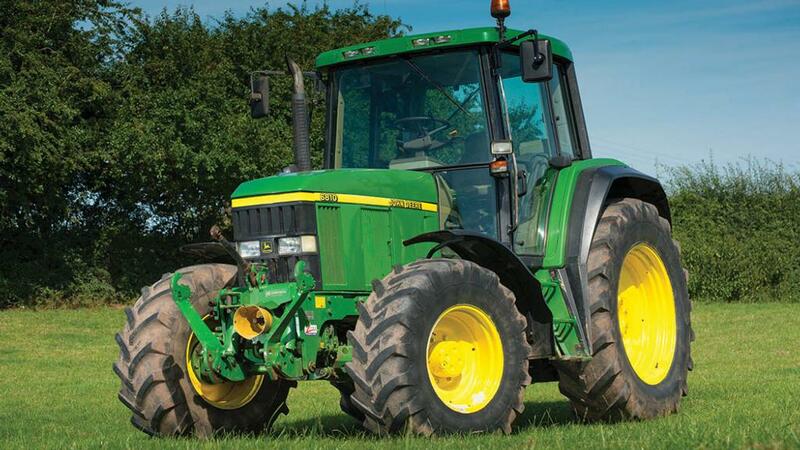 When John Deere launched its 6000-Series and 7000-Series tractor ranges in 1992, it was not just the tractors’ radical styling which had changed. Underneath what looked like any other tractor produced at the time, was a chassis design which would revolutionise tractor production universally. John Deere started developing the new tractors in the 1980s. 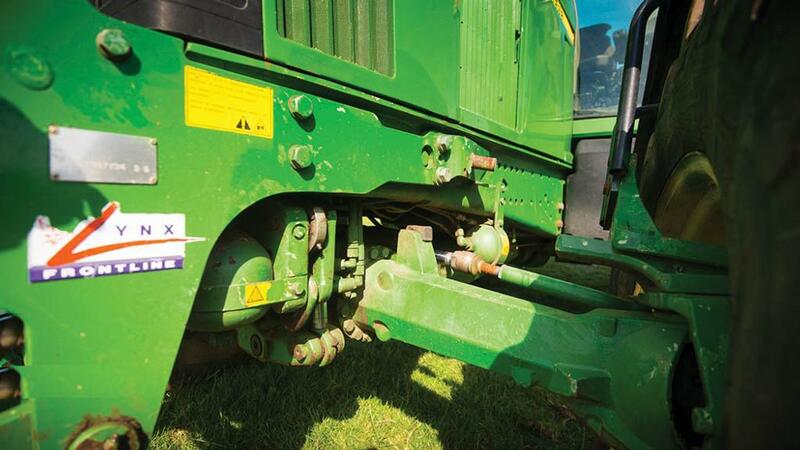 Turning its back on rigid load-bearing castings traditionally used by tractor manufacturers, John Deere engineers developed a strong flexible steel chassis, which was designed to utilise modular components. Having initially conducted a feasibility study to explore the potential for using a main frame chassis in 1979, senior executives at John Deere’s world headquarters in Moline, Illinois, decided to take the concept to the next stage, with a development project which would become known as the M-Tractor. Radical new styling was a feature of the new 00 and 10 Series tractors from John Deere. By using a combined team of engineers from Germany and the United States, a study exploring the concept of main frame tractor production was commissioned in 1984. A design proposal was submitted the following year and the first prototype of the new chassis design was completed in December 1985. John Deere engineers soon realised one of the benefits of using a heavy-gauge steel chassis was the components themselves would no longer need to be load-bearing. This would ultimately allow them to reduce the casting thickness of the engine block and transmission, and incorporate lighter materials, such as aluminium, into the tractor’s component designs. With limited access to components from outside the tractor, the new chassis was designed to incorporate modular components, grouping the engine, transmission, PTO and hydraulics into separate units, which were linked as they were assembled in the frame. A significant benefit of this system was it allowed the production line to quickly make changes in specification, or add optional equipment without significant delays or changes in production routines. The larger six-cylinder models were built at Waterloo, Iowa, USA. Known as the 7000-Series, they included the 7600 (132hp), the 7700 (150hp) and 7800 (170hp). The two larger models employed Deere’s well-proven 7.6-litre unit, while the 7600 used a smaller a 6.8-litre engine. The German tractor factory at Mannheim was assigned the production of a smaller 6000-Series (75hp-100hp) range. The first 6000-Series tractors included the 6100 (75hp), the 6200 (84hp) and the 6300 (90hp), which all utilised a new version of the 3.9-litre engine, borrowed from previous 50-Series tractors. The larger 6400 (100hp) used a new turbocharged 4.5-litre engine. In 1993, these were followed by two new six-cylinder models, the 6600 (100hp) powered by a 5.9-litre engine, and the 6800 (120hp) powered by a 6.8-litre engine. A third six-cylinder tractor, the 6900 (130hp) powered by the same engine, was introduced in 1994. The new tractors introduced a host of new features, including a new PowerQuad transmission. This new design incorporated a four-speed powershift with a 40kph (25mph) road speed and a forward/reverse shuttle. A new electronically controlled closed-circuit on-demand hydraulic system was also introduced, with external lift cylinders on the rear linkage. Another new feature was John Deere’s Tech Centre cab. 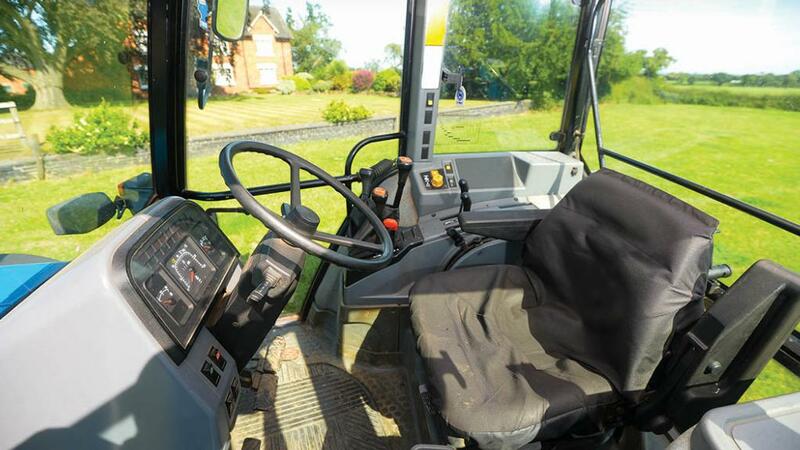 This was an all new two-door design with 40 per cent more internal space than the single-door SG2 cab, a high-flow ventilation system with optional air conditioning and a passenger seat. The legacy of John Deere’s M-Tractor continues to this day, its design representing a 25-year succession in John Deere tractor development, the influence of which can be seen throughout the modern tractor industry. JD’s chassis re-wrote the rule book on how to assemble a tractor. 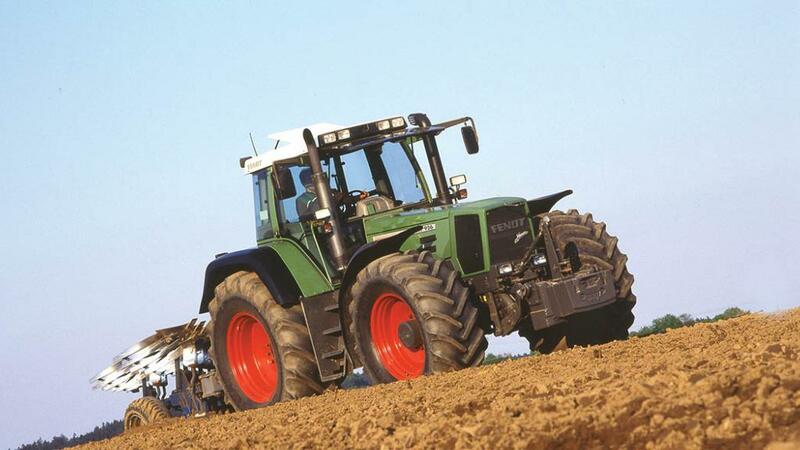 In 1995, Fendt introduced the world’s first tractor with a continuously variable transmission. The new Fendt Favorit 926 used a 260hp MAN engine to power Fendt’s revolutionary Vario transmission, which provided infinite speed control throughout its entire speed range with stepless speed transition from zero to maximum, using a multi-function joystick. The high-specification Renault TZ-Series was the first range to offer a tractor cab suspension system. Introduced in 1987, Renault’s Hydrostable cab was developed from the cab suspension systems originally designed for Renault trucks. The system employed a combination of coil springs, hydraulic-dampers and anti-roll bars, and was claimed to reduce in-cab vibration levels by 35 per cent. By 1999, three-quarters of the Renault Ares tractors sold in the UK had Hydrostable cabs. 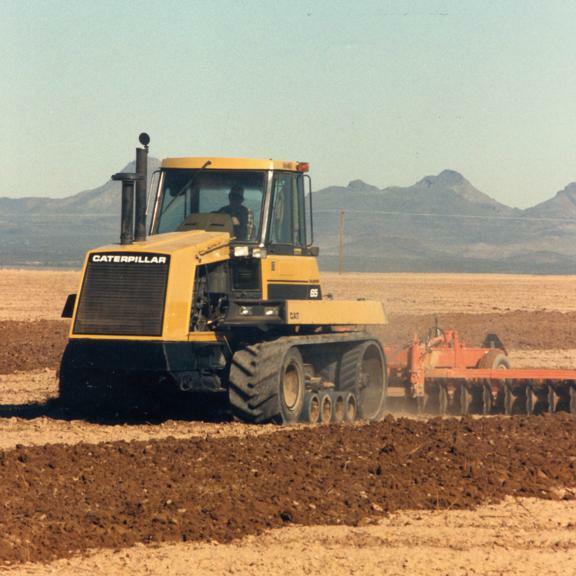 The Cat Challenger 65 introduced the twin-track concept to farmers around the globe in 1986, when it introduced the Mobil-Trac system. Cat continually developed the Challenger range throughout the 1990s, during which time 17 different models were produced. Introduced in 1995, the Challenger 35E, 45E and 55E models were the first to use a large diameter rear-drive wheel. From 1997, the Challenger range was marketed in Claas Livery. Introduced in 1991, the JCB Fastrac would establish itself as the world’s foremost high-speed tractor. Originally codenamed HMV 130, the new tractor was originally destined to be marketed as the HMV Nomad. Following a competition for JCB employees to come up with a name for the new tractor, the winning name chosen was Fastrac, an abbreviation for Fast-Tractor. 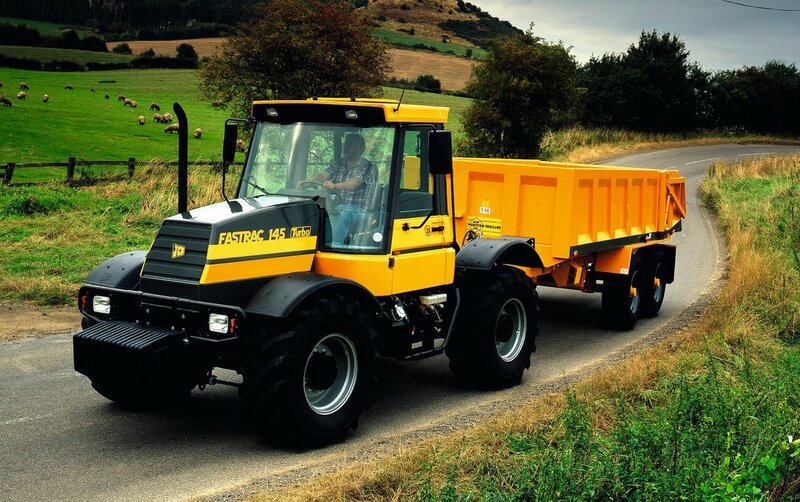 Fastrac differed from tractors of the time with fully suspended axles and outboard dry-disc brakes allowing top speeds up to 75kph.